Westlife Development Limited, a company listed on the Bombay Stock Exchange, today announced that a scheme of arrangement is proposed for consolidation of some of its group companies. 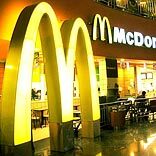 As a result of the proposed consolidation, Hardcastle Restaurants Private Limited (HRPL), a Master Franchisee for west & south India operations of McDonald’s Restaurants, will become a direct subsidiary of Westlife Development Limited (WDL). Hardcastle Restaurants Pvt Ltd (HRPL) reported a 126% growth in profit for the financial year 2011-12 ending March 31, 2012. Net profit stood at 425.1mn as against 187.8mn in the previous fiscal. HRPL currently has a footprint in west and south India with 148 restaurants across west and south markets. HRPL grew its restaurant footprint by 20% in fiscal 2011-12 ending March 31, 2012, increasing its store count from 107 in FY 2010-11 to 130, with a CAGR of 22.34% over the last 3 years.